Yogurt is a healthy snack for kids. It’s a great serving of protein and calcium and tastes great at any time of day. 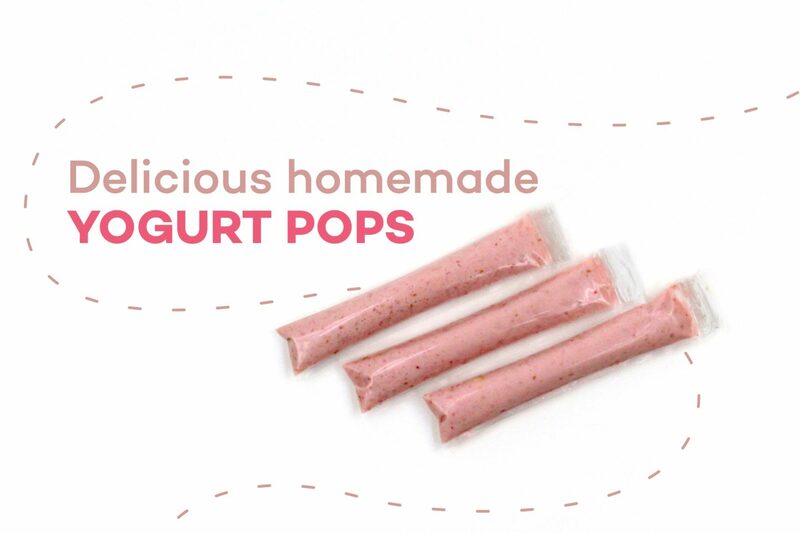 Here at Revolution Foods, we created a recipe for Raspberry-Banana Yogurt Pops that you can make with your kids. Loaded with protein, vitamins, and whole fruit, this kid-approved snack is not only healthy and delicious but also quick, easy & budget-friendly! Popsicle mold bags (such as Zipzicle® Zip-Top Ice Pop Pouch, available for purchase on Amazon. Place Greek yogurt, water and honey in a blender or food processor. Use the funnel to easily transfer the yogurt mixture into the popsicle mold bags, and then seal. You can make yogurt pops using any fruit that you have on hand to create a variety of different flavors. Your kids will enjoy experimenting with different fruits and customizing their favorite flavors. For more kid-approved snacks, check out our overnight oats, and animal face toast recipes.